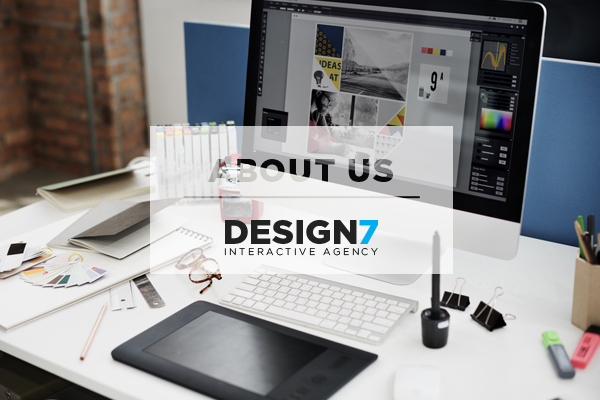 Design 7 is a company specialising in the preparation and implementation of the strategy of building the image of companies on the Internet and on the basis of marketing assumptions presented by the client. The most popular services offered by our agencies include: designing websites, e-commerce and B2B systems, e-marketing and online consulting, preparing and servicing advertising campaigns, hosting, SEM, SEO, positioning websites and running campaigns in social media. We create marketing strategies aimed at high visibility of the customer in the network. We create a professional image of companies. We design websites from basic to response and based on CMS, we create e-commerce stores, we offer SEO and computer graphics, and in order to meet the expectations of our clients we offer professional printing of advertising materials. I am delighted to recommend Maciej and the work of Design 7. As a start-up Financial Services Company our budget is tight. We enlisted the services of Design 7 back in 2011 and the work they have produced for us (Technical Graphic Simulations) was very helpful in us presenting our own services to investors. In the coming months of 2012, we will once again enlist Design 7 across a number of areas relating to graphics, website design, web integration and mobile apps. We are very happy with the website and printing that Design 7 made for us. Many of our customers have commented on it and we believe that it has bought in a lot of business for us. Maciej listened to what we wanted and then took our ideas to another level. We would highly recommend Maciej if you are looking for quality work that's affordable. I would like to confirm that Design 7 is currently managing all our website and design work including the building, design and maintenance of our website as well as looking after the layout and design of our menus and leaflets, We have been working with Design 7 from 2010 and we are very satisfied with the results with them as they have always been professional and I would highly recommend them to anybody.